Please tell this to whomever can respond to my request. Once again, I am approaching people to assist us with the rental of a van for approximately 2 months. I am hopeful that you can recognize the importance of refining the role of Native women as life-givers and protectors of water in our country. I do not ask governments for money because this work is voluntary. 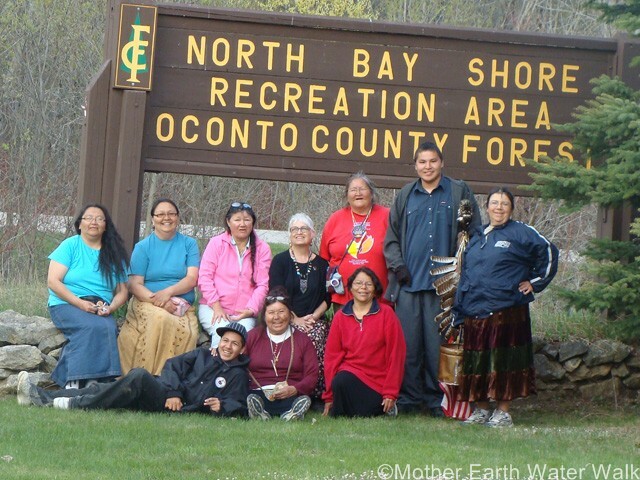 Much has been accomplished; media, newspapers, radio and First Nations/Tribes have become so much more aware of the need for women to protect the water for future generations. This year our work will be raising awareness of oil spills by train derailments across Ontario and Quebec and including ships that may spill oil as they cross the Great Lakes and the St. Lawrence River. 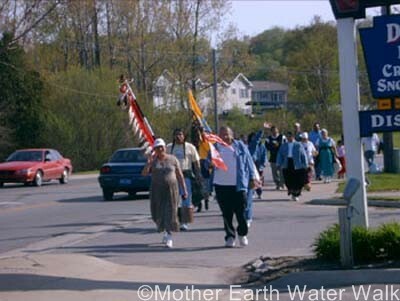 This year we start at Matane, QC on the Sacred Waterwalk along the St. Lawrence River and the Great Lakes. The sacred journey will end at Madeline Island, Wisconsin. 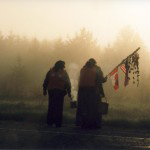 On the 22nd of June, there will be a reunion with our eastern clans: Pasmaquaddy, Abenaki/Wabanaki, Micmac, Ojibways and all other clans to tell stories of the Great Migration and share the history of our people. 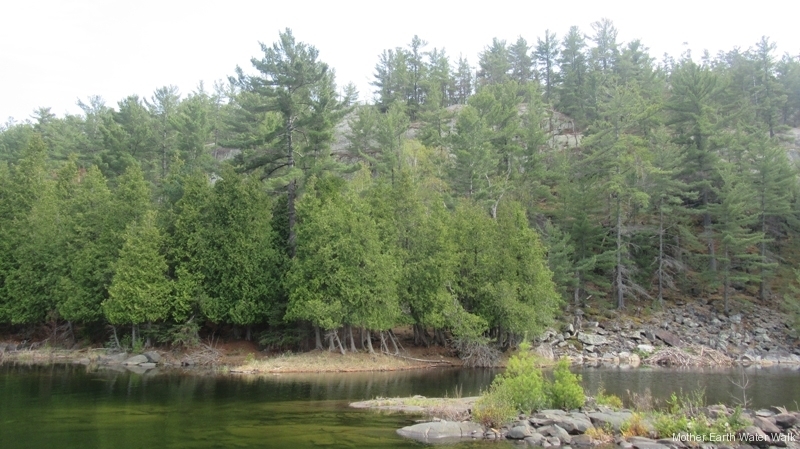 Pipes, Tobacco, and Drums will emerge as our sacred stories are shared. The walk will start on the 23rd June 2015. I hope you can be present for this historic event. It is with great hope that I close, trusting that anyone can help in this very important venture. If it is impossible for a van rental, alternatively a cash donation would be equally helpful. 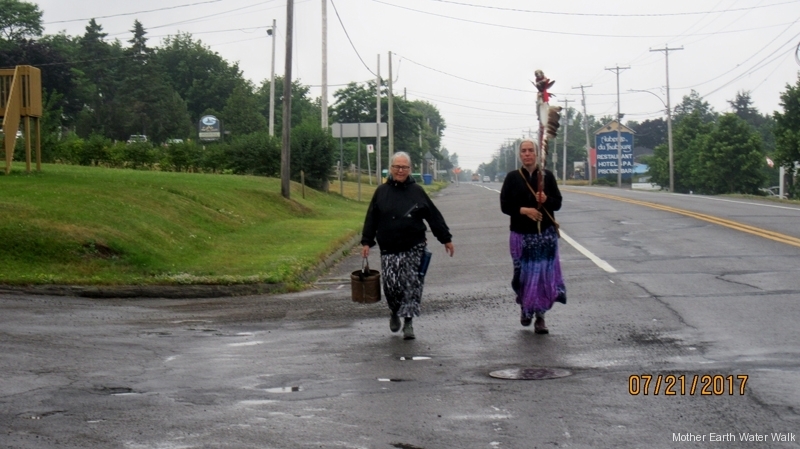 The Sacred Walk is mainly to raise awareness about Oil spillage either by ships and/or trains. This causes great concern on the lakes and rivers from Lake Superior on down to St. Lawrence River and beyond. Secondly, the other purpose is to seek our history(s) of the past migration of long ago before it gets lost in the minds of our young people. The stories are so beautiful and full of prophesy that we must pay attention to. At the onset, June 22, 2015, it is my hope that the Eastern people will come and share their ancestral stories of the original Migration. Pipes will be lit in the wee hours of the morning as in the olden days, the Water Drums will be sounded and tobacco offered as each tribe recounts their stories. I have mailed tobacco by courier for Matane, QC who I hope will host this historic event. On the morning of the 23rd June, we start the Send Off after the Offerings are made to the River and then we are off. Our first stop will be where the migration first stopped. This I am not sure but I think it may be someplace by Gitigan Zibing(Garden River) Quebec.